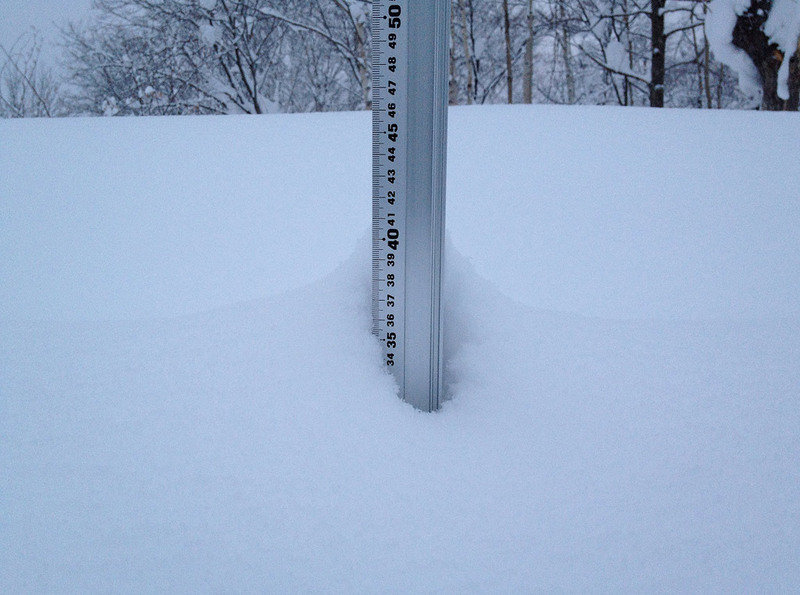 *14.5cm of fresh snow as fallen in the last 24hrs in Hirafu Village. At 07:00 today the temperature was -4°c the coldest morning of the season so far. The low temperatures and light dry powder will make conditions superb on the mountain with top to bottom coverage. At this stage there are only 2 lifts running in Niseko Mt Resort Grand Hirafu. The Ace Quad Lift #2 Center 4 and the Ace Pair Lift #3. Niseko Annupri Ski Ground opens tomorrow so we will be heading over there and look forward some long runs off the Annupuri Gondola.